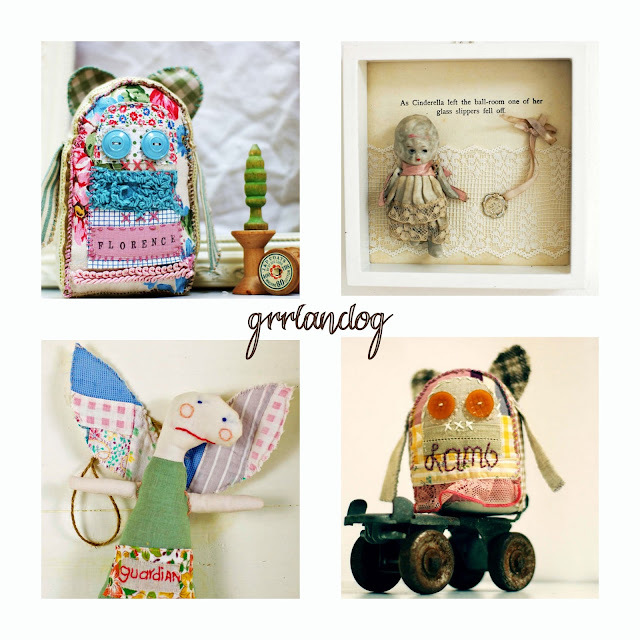 A beautiful artist we want to talk today is Denise Litchfield and her amazing grrlandog shop. A shop full of darling boho softies created from rescued fabrics and adorable tiny houses inspired by Tim Winton's Cloudstreet. I stitch stories. Hold my vintage fabric softie in your hands and listen. I hoard vintage buttons and scrounge for authentic vintage pieces. My simple primitive softies are created over many hours of quiet stitching. Slow work that allows their souls to sing. I am drawn to material that echoes the 30’s and 40' - a time when things were saved, mended washed and re used. Hand embellished and stuffed with polyfill, these rescued vintage fabric softies may whisper lines from an old movie or grandma’s secret recipe for scones.